Ok lets be practical when you are preparing for a wedding/party/a night out what else is there that makes you look pretty other than Makeup! 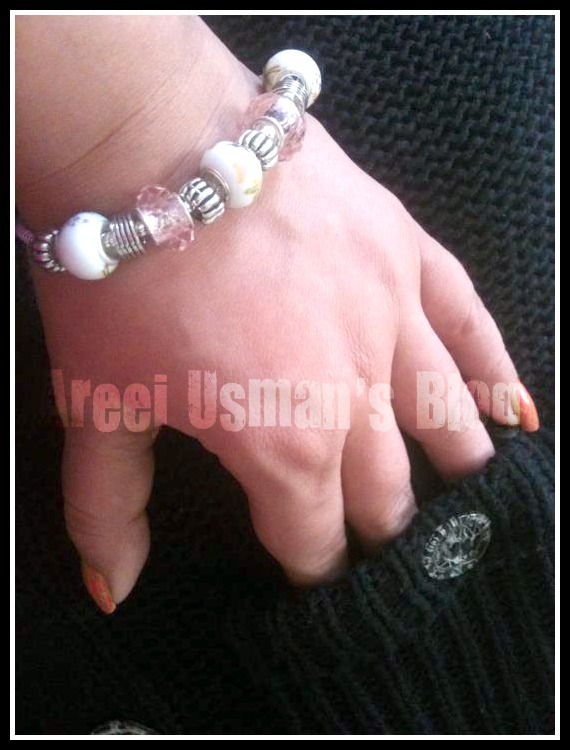 Yes it can be the way you dress ,the way you carry your accessories & what jewellery you are wearing..
As Jewellery is part of our daily beauty routine I am today reviewing a lovely piece of Bracelet for you. We feature almost 5000 high quality, unique sterling silver charms, bracelets, beads and more.Silver charm bracelets are so easy to personalize. Start by choosing a charm bracelet (or necklace). Then add as many .925 sterling silver charms as you like. Each charm comes with a free jump ring to attach it to your bracelet. The service at Charm Factory is really good.I recieved this bracelet within 9 working days.The boxed bracelet was not only packed up in a usual brown envelope but then packed again in a customized shipping envelope.The bracelet comes neatly packed up in a white box.I can say that its packaging is so perfect for gift purposes.Anything from Charm Factory can make a great gift! 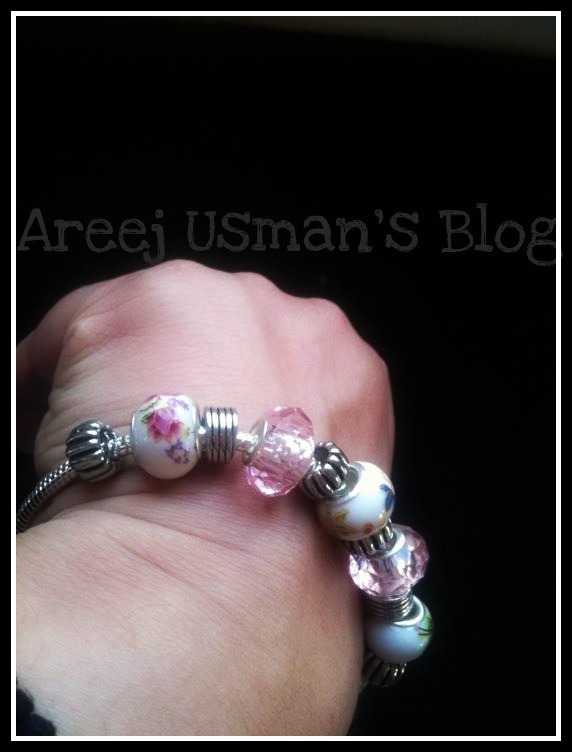 This bracelet is made of three kinds of beads Glass,Pewter & Enamel.I specially love the intricate flowers on the enamel beads.I chose this one out of their beaded range because I love PINK & I loved its combination.It can nearly go with any dress I wear because of its color combination.I would love to wear a silver watch to add some Chink to this Bracelet though it looks very pretty alone too. My bracelet is 8″ long but it is also available in size 7 1/2 ” & 8″. I am seriously loving this bracelet.Usually when it comes to wearing jewellery I am more of a bracelet & ring person so I guess I would be wearing this bracelet very often. The beads are looped on a silver tone chain with a clasp at one end to secure it together. Charm Factory is a one stop online store for anything you want.It has European Style Bracelets & Beads,Charms,Chains,Rings,Necklaces etc.You can even design a personalized bracelet choosing different beads & also can personalize as a gift for someone special! You can also find them on Facebook,Twitter &Youtube. I have a great news for you. 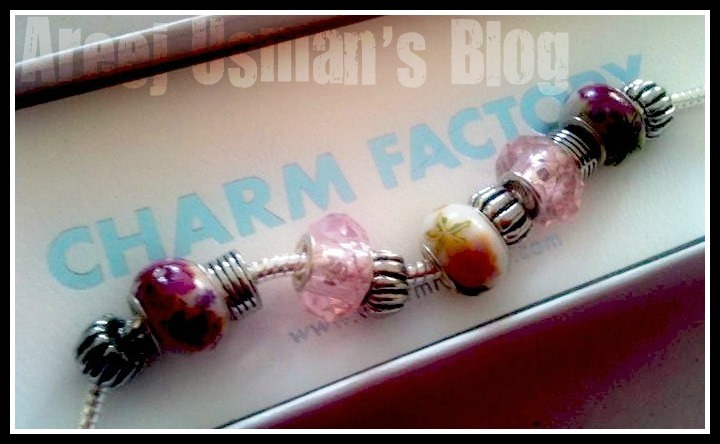 CHARM FACTORY was kind enough to sponser a New Year Giveaway for my blog. So do you want to win a bracelet for yourself.Head on here to Enter my Giveaway! 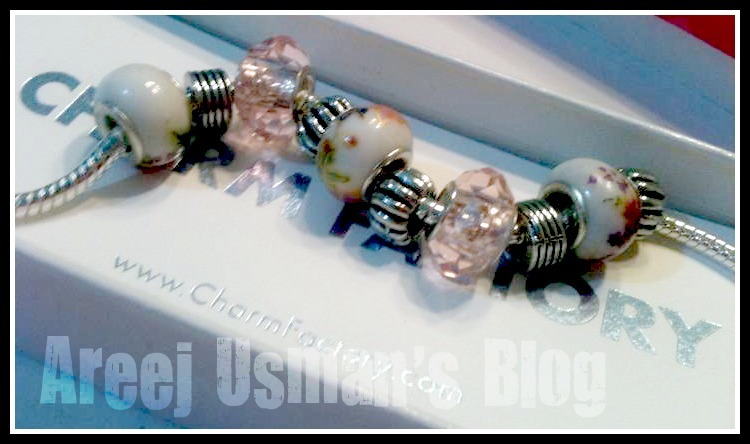 HAPPY NEW YEAR 2012 GIVEAWAY by CHARM FACTORY! !